Research tells us that students who don’t eat breakfast demonstrate a 20% – 40% reduction in thinking skills (e.g. concentration, alertness and memory). Research also shows that students who eat breakfast perform better in exams than those who don’t, porridge being one of the key foods. But does that mean we can just eat anything at breakfast and our brain will perform at its best? Of course not, some foods can cause concentration dips or slumps (high sugary foods for example) while others help to maximize concentration, focus and good memory. Can Porridge Help you perform better during exam time? Porridge is one of the best breakfast foods that a student can take to help study longer and to perform better on the day of the exam. Oats made with water or milk and a little honey will give you the brain boost you need to succeed. 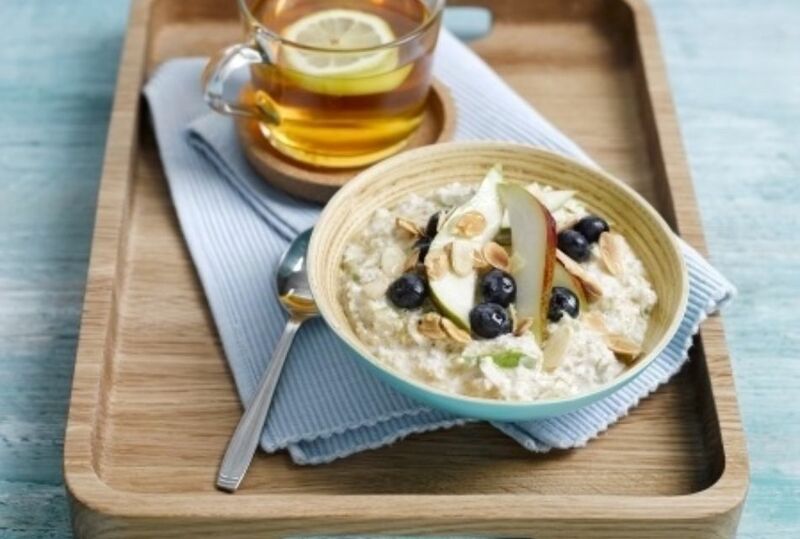 Porridge contain most of the B-group vitamins, which cushion the nervous system and are depleted in times of stress. A lack of B vitamins can consequently result in poor concentration and memory, irritability, stress and low mood. B vitamins are water-based so you can’t overdose (they will be lost in urine), but equally they need to be topped up daily. It also releases energy slowly making sure you aren’t suddenly overcome or distracted by hunger. In fact Goldsmith University in London offer students free coffee and porridge on the morning of exams top help them perform better. Packed full of goodness this Super Bowl will start the day off with a bang and then keep you going with slow release energy until lunchtime. Scatter over your favourite ingredients to finish it off with flair, Goji berries, extra sliced banana or a simple trail mix all make for good toppings. Place the banana, low fat yoghurt, blueberries and ActivOat into a food processor and whizz to a smooth puree. (Loosen with a little milk if necessary to get the consistency you like). Pour into bowls and scatter over in rows the remaining ingredients. Try using a combination of fresh fruit and scatter over a little White's Granola. Peel your banana and break into about 5-6 pieces and freeze until solid. Use in the recipe above. These are great to add an instant coolness to this Super Bowl or even smoothies. This energy packed breakfast will definitely keep you going until lunchtime. Ring the changes and use your favourite fruit, apples, peaches and nectarines all work well instead of pears. Crisp, crunchy golden oats coated with nuts, seeds, toasted coconut and cranberries - the best breakfast ever!